The 54 foot long fishing vessel Blue Fin became disabled off Cape Hatteras, North Carolina. The Blue Fin had suffered a power blackout and went adrift. 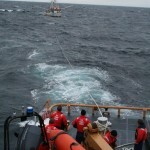 The crew requested assistance with the 110 foot Coast Guard cutter Block Island responding. 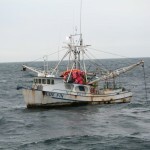 The cutter took the Blue Fin under tow and proceeded to Oregon Inlet. No reports of injuries to the 5 crew, damage or pollution released.